The Marlin is equipped with a sensitive Sony ICX204 CCD sensor. It runs at 20.08 frames per second at full resolution and Format_7. The Marlin F-080B/C-30 variant offers 30 fps (at a slight expense in image quality). Higher frame rates can be reached by using a smaller area of interest (AOI) and binning. Please contact about new, used or obsolete models of this camera series. 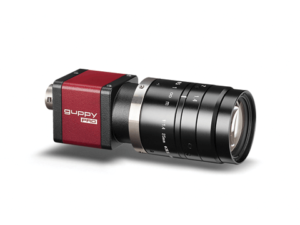 The Guppy PRO F-032B/F-032C is an industrial camera with Sony's ICX424 CCD sensor and a fast IEEE 1394b interface. At full resolution, it runs 82 frames per second. 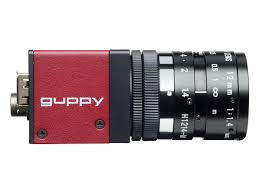 Guppy PRO cameras have an excellent price/performance ratio. The Guppy F-044B/F-044C is equipped with an ultra-sensitive interlaced CCD sensor - which makes the move from analog to digital cameras (e.g. quality control applications) very easy. Additionally, with the Guppy F-044B NIR, a version with enhanced NIR sensitivity is available. At full resolution, it runs at up to 25 frames per second. Higher frame rates can be reached by a smaller area of interest (AOI). The AVT DOLPHIN F-145B is a monochrome CCD progressive scan camera with SXGA resolution for extremely high quality images. The DOLPHIN F-145B is capable of speeds of up to 15 frames per second at full resolution. It features the proven and easy to use FireWire (IEEE 1394a) interface for high performance imaging in demanding applications. Additionally an internal memory for 16 image buffers decouple frame-grabbing from transmission. This camera operates at 8-bit or 12-bit mode and so produces extremely high quality images. The Dolphin F-145B includes flexible and broad control for smart pre-processing through external trigger input, general digital inputs and outputs, real-time shading correction, true partial scan for higher frame rates, 63 programmable look up tables, and flexible shutter control. The AVT DOLPHIN F-145B is ideal for demanding image processing and factory automation tasks. The GC-Series cameras combine ultra compact size with high-performance and Gigabit Ethernet interface (GigE Vision™). The GS-Series has a porfolio of 15 cameras, offering resolutions from (640 x 480 up to 2448 x 2050 MPixel). Due to different sensors it is suitable for many applications. The GE-Series cameras are very compact, high-performance machine vision cameras with Gigabit Ethernet interface (GigE Vision™). The GigE interface allows for very fast frame rates and long cable lengths (up to 100 meters). 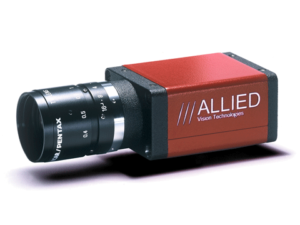 The GS-Series Gigabit Ethernet CCD cameras are high-performance CCD cameras for industrial and microscopy applications. The GS-Series is available in four different models with resolutions from VGA up to 5 Mpixel. 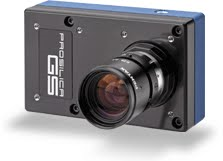 The GS-Series include all the advanced triggering and I/O capabilities that are available on all Prosilica's GigE cameras. 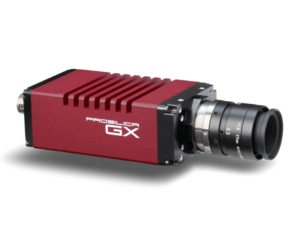 The Pocilica GX, with its double-speed Gig-E interface, is the first Gig-E Vision camera to feature LAG technology. The LAG technology has been used in IT networking for years and is supported by a wide range of standard Ethernet hardware (switches, interface cards, etc.). When the camera is connected by two cables to the host computer, it sees the camera as one connection at twice the normal speed (240 MB/s). The Prosilica GX can also operate using a single standard CAT-5e Ethernet cable at 120 MB/s. Additional features include 3-axis motorized lens control as well as video-type auto-iris controls. 2003 Copyright ccdworld. All rights reserved.